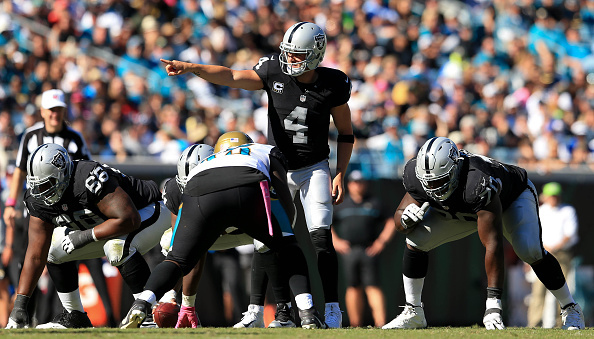 Latavius Murray scored twice in his return from turf toe, and the Raiders handled listless Jacksonville 33-16 Sunday and gave coach Jack Del Rio a victory against his former team. Murray, who missed the past two games, finished with 59 yards on 18 carries. 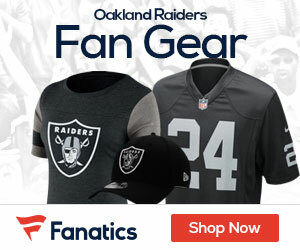 Michael Crabtree caught eight passes for 96 yards and a touchdown from Derek Carr, Sebastian Janikowski kicked four field goals and the Raiders played the kind of defense they’ve been looking for all season. The result was the team’s most complete win of the season. Oakland improved to 4-0 on the road and moved to 5-2 for the first time since 2001. The Jaguars (2-4), meanwhile, dropped a third straight at EverBank Field and added more speculation about the future of coach Gus Bradley. That was a strong and impressive win for the Raiders.